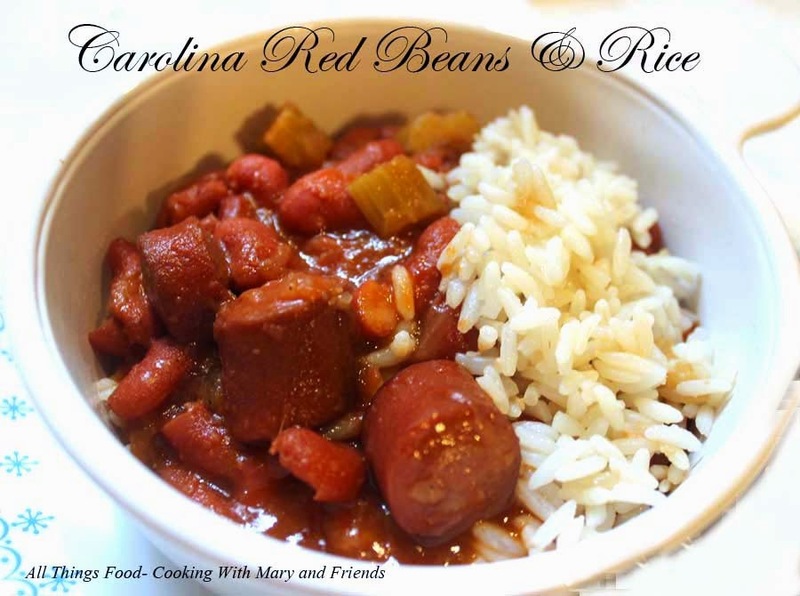 I quickly became acquainted with the Luquire Family, through Facebook and the internet and was very intrigued with their Carolina Creole Sauce, Rice and Grits. I was really enthralled when I discovered they won the "Sofi" (Specialty Food Association) GOLD award in 2013 for their grits. Read about their win here. Want to know more? Read about the Luquire Family here! For quick soaking, place dried kidney beans in a Dutch oven; cover with water 2 inches above beans, and bring to a boil. Boil 1 minute; cover, remove from heat, and let stand 1 hour. Drain beans, rinse with cold water, and divide beans in half (you should have approx. 2 1/2 cups beans). Reserve remaining beans for another time. Pour 1 tbls. oil into large pot and heat over high to med-high heat; add sliced sausage pieces, celery and onion and saute' several minutes or until sausage is browning and vegetables are soft. Add 4 cups chicken broth (one quart) and 2 cups Carolina Creole Sauce. Bring to a boil over med-high heat and boil 10 minutes, stirring frequently. Reduce heat, cover and simmer over low heat approx. 2 hours or until beans are tender, stirring from time to time. Serve immediately over hot, cooked rice. 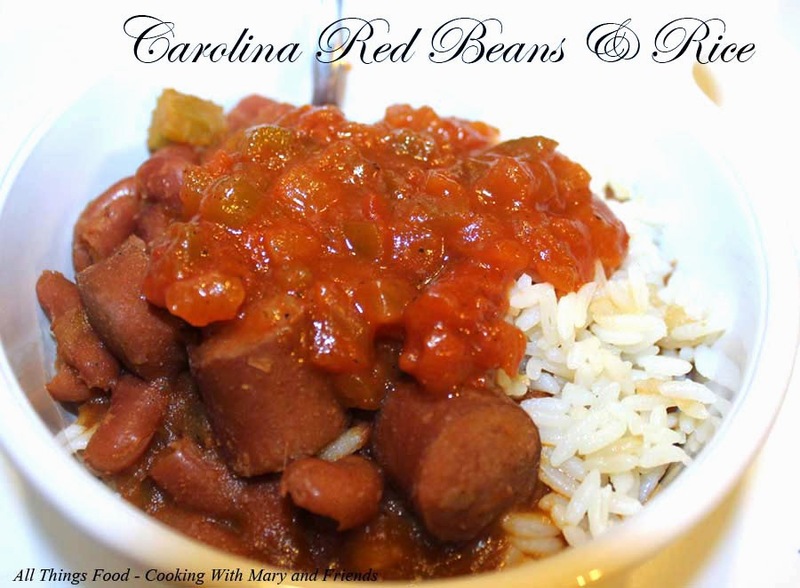 Top with more Carolina Creole Sauce if desired!